So I know stock photos sometimes get a bad reputation when it comes to using them as images for your business. There are also myths about stock photos. But I know that 1) not everyone can afford custom images for their business 2) not everyone has the time to take their own photos and 3) even if people have the time, they'd rather spend it on other things (like binge-watching netflix, drinking wine, or actually spending time with their family)! Stock photos can be great way to create a cohesive visual brand across your marketing channels, especially if you have a new business and want to make the most of your budget! Unfortunately, not all stock photos are created equal. 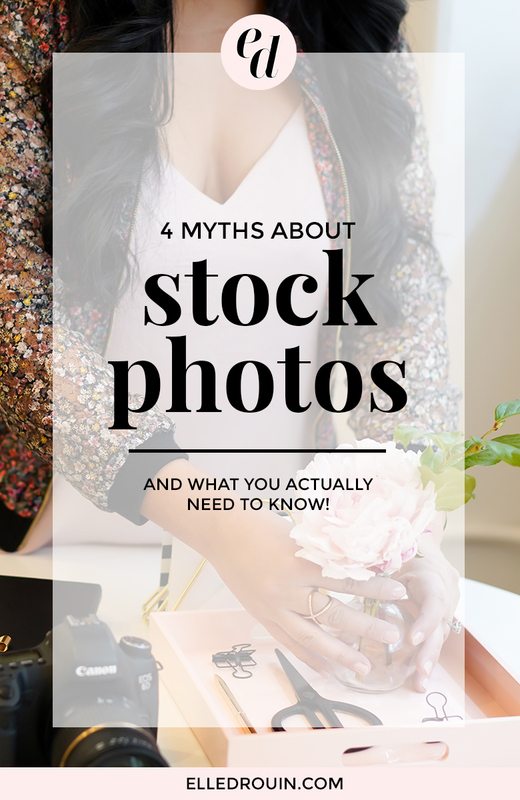 When you understand some of the myths and misconceptions around using stock photos, you can ensure that you choose the right kind for your business! Stock photos are actually available at a wide range of prices. They certainly don't have to be free or wildly expensive. Websites like Creative Market and Etsy are full of beautiful stock photos at a reasonable price. They are also a number of sites that offer affordable stock photo memberships where you can download a certain number of stock photos every month. 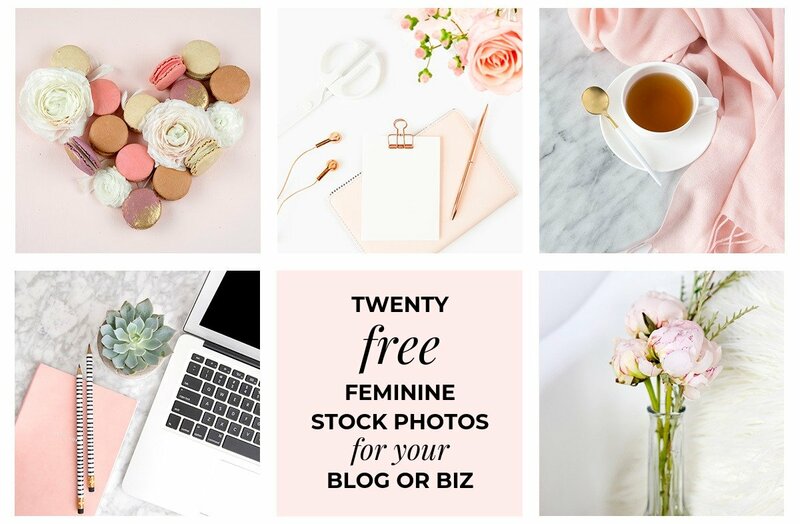 And if you're looking for a stock photo membership where you have instant access to download an unlimited number of photos, there's the Styled Stock Society – where you can get instant access to over 2,000 photos for less than $20/month. Are you using stock photos for your business or blog? If you sell your products online, having high quality product photos is incredibly important. It's the only way to convey the quality of your products because customers can't actually touch or feel them before they make their purchase. 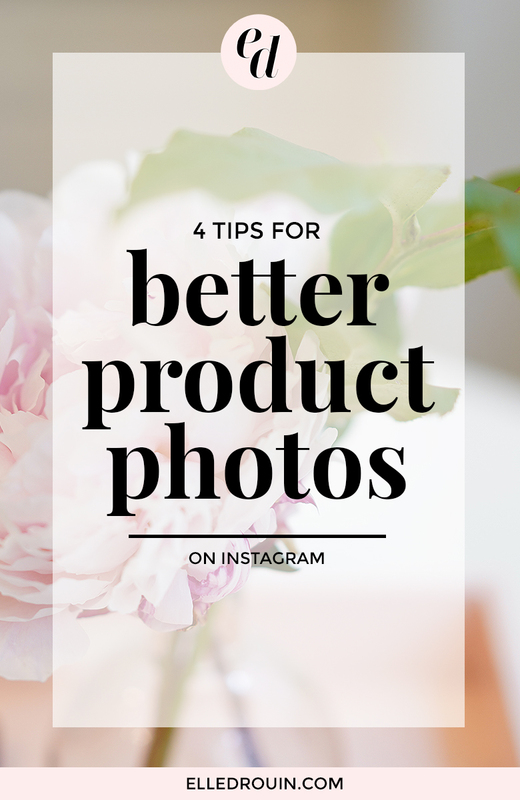 The quality of your product photos directly affects the perceived quality of your products… so if you have low quality images, chances are people think your products are low quality as well! That's why it's SO important to have visually compelling images on Instagram in order to attract potential buyers to STOP and take a look instead of scrolling by. DIYing your product photography? Here are a few tips will help you capture better product photos for Instagram. Whether you’re using your iPhone or a DSLR camera, lighting is the most important thing when it comes to your product photos. I generally prefer using natural light when possible, but natural light can be a bit tricky since it isn’t something you always have control over. Start by finding the best natural light in your space. When you’re at home or in an office, the best natural is usually by the window or door. If you don't have natural light in your space, you might need to go outside. Pay attention to how the light changes throughout the day. You might want to avoid direct sunlight because it can create harsh shadows. If you don't have access to natural light, you can obviously use studio lighting. There are a range of lighting options from basic and cheap to super professional (this is a great set for less than $200). For easy and affordable white backgrounds, you can buy foam boards at a craft store or Amazon. These are a great hack for flat lays when you don't have a white table or desk (and they are super cheap)! If you need a seamless background for any sort of vertical product shots where you don’t want to see the wall in the background, seamless photo backdrop paper is the best option. You can find a range of sizes and color options to fit your brand but if you really want your products to stand out I recommend using a neutral white or gray background for basic product photos. Savage Paper is the seamless backdrop paper that I use (it's nice and thick!) and it comes in a ton of different colors and sizes to fit your space. One thing that gets a little confusing for people is the difference between styled and lifestyle images. Styled photos are products photos that you plan with intentionally placed props in order to highlight or “accessorize” your main product. This is what you might think of when you see food photography or desktop photos where things look almost too perfect. Lifestyle photos are photos that look more like they are taken of things happening naturally in everyday life. These might show your product actually being used by a person the way it would on a daily basis. Having a combination of the two types of photos can be ideal for product based businesses. Lifestyle photos can be more relatable for your audience because when people see other people using / wearing products, they can envision the product in their own lives. On the other hand, styled photos can be a more focused and clean way of showcasing a product so that the focus is really on the product’s features. You may notice that your audience responds better to certain types of photos in comparison to others so pay attention to which photos get higher engagement as well as which ones drive more sales! Having a set of photography tools you use on a regular basis will streamline your product photography. Using consistent lighting, consistent editing, and consistent colors, and consistent props will help you create a consistent style that makes your brand more memorable. Consistency breeds credibility. You want all of your product photos to have a cohesive look, and using consistent colors and props is an easy way to visually tie things together. I recommend having a “prop box” on hand with small items you can use to style with your products. I have an overflowing closet full of props for my various clients and customers, but even if you start with a few items that you use on a consistent basis, that will help to create a more consistent look to your images! Are you ready to up-level your own product photos? This post contains affiliate links for products I use and recommend which means at no additional cost to you, I may earn a small commission if you decide to make a purchase. With the ebbs and flows of business throughout the year, summer tends to be a slow time, but that doesn’t mean we can totally slack off until September! 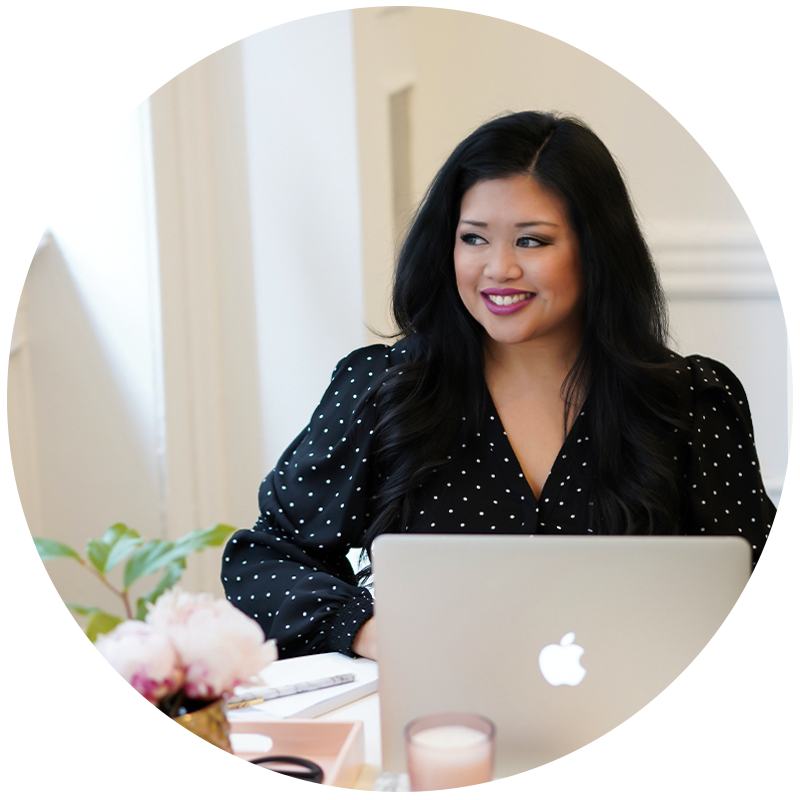 If you're feeling the summer blues and wondering what you can do to keep bringing in the $$$, I’ve put together a list of 8 easy ways to make more money in your business right now without spending a ton or launching something completely new. With these short-term ways to increase revenue, you can avoid the summer slump, and increase your income – or even take a vacation of your own! A lot of people talk about discounting as a negative thing to do for your business, but I don’t think it's necessarily bad if you’re trying to bring in new customers or clients. If you position your sale a limited time opportunity, you’ll get people to act now rather than later. This is a great way to get rid of excess inventory if you have a product-based business and encourage get your audience to purchase something before it's gone for good! Earlier this summer I did this with a couple of courses that I was closing by offering them at a discount before they were closed for enrollment forever. If you don't want to discount your products or services, you can incentivize new purchases by offering a bonus or a bundle for people who are going to purchase from you. This is where handy ‘buy one get one’ offers come in. Or tell your clients if they book a consulting session, they get a free eBook or a gift card toward a future purchase. With this strategy, you're not just selling products, you're giving your customers something in addition to motivate them to act now. If you’ve been in business for a while or you're expanding your offerings, you can give your audience the opportunity to hire you or purchase something at your current rates before they go up. This definitely increases customer interaction because everyone wants to feel like they got a deal. I recently raised the prices for the Styled Stock Society and a week prior to raising the prices I let everyone know it was going to happen, so whoever wanted to join before the prices went up had the opportunity to do that! A tripwire is a low cost ‘easy yes’ offer that helps you turn a lead into a customer. It’s an item that solves a very specific problem in your target audience’s life. This could be something like a template, a sample, access to an archive, training, or content you've already created. It’s something that’s small and has a low price tag so someone would be excited to pay a small amount of money for something that has a lot of value. The idea is that once someone buys from you, they are more likely to purchase again. By getting them to buy the small offer you create an opportunity to upsell them a larger package or product. In the meantime, it’s an easy way to make money while you're growing the know / like / trust factor with your customers! Not a designer? (me neither!) 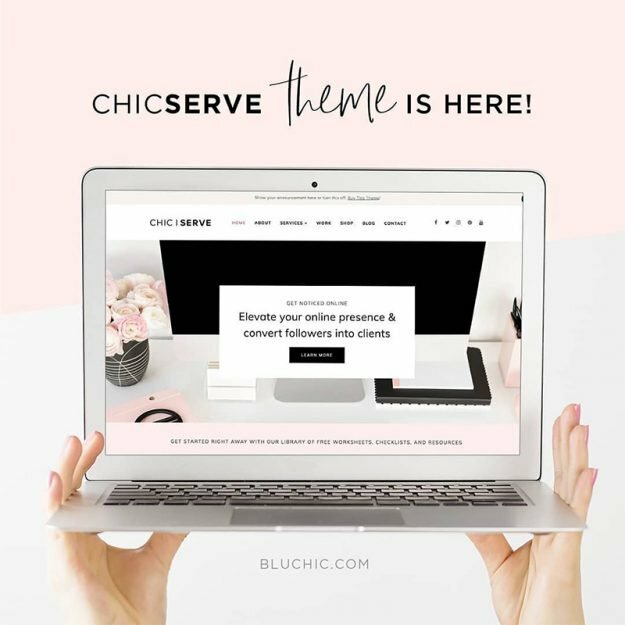 – Bluchic's landing page templates make it easy to set up your tripwire in minutes! If you provide services, think about how your could take one specific part of your existing service offerings and create a mini version for a limited amount of time. You want this new offering to be smaller in scope and smaller in price. For example, photographers who offer portrait photography might do a smaller mini session with a specific theme. A health coach could offer a one week quick start meal plan instead of a 6-month program. A social media manager could create a limited time service like social media profile audits rather than their typical ongoing service. Popup services are a great way to introduce new customers to what you do without the pressure to invest in larger, more time consuming packages. If you have affiliates for your business, create a short series of emails to remind them how they can promote your business while earning money themselves. You might give them specific ideas on how they can promote your business with emails or social media updates. You could also provide graphics to help them promote your business and even swipe copy so you make it as simple possible for people to share how much they love your business! If you don’t have affiliates yet, you can still have brand ambassadors and even just business besties who share a word about your business you give them credit to your shop in return. Sometimes the easiest way to get new eyes on your business is by having other people promote it to their own audiences! First of all – if you don’t have evergreen sale sequences, you should definitely create them! A lot of people will get their audience to subscribe to an email list and send them one thing and then… nothing. Research shows it typically takes at least 7+ touch points for a customer to feel comfortable with investing in your business. If you stop after one or two touch points then you're missing the opportunity to reach people who want to potentially buy from you! Create or update your evergreen sale sequences and add additional automated emails. Think about what else you can add to them to help educate potential customers and also remind them of the products and services you offer. Remember – just because you sent one email three months ago doesn’t mean someone's going to remember who you are today! If investing in costly landing page software like LeadPages is holding you back from creating sales funnels, check out Bluchic's landing page templates for a more budget friendly alternative! 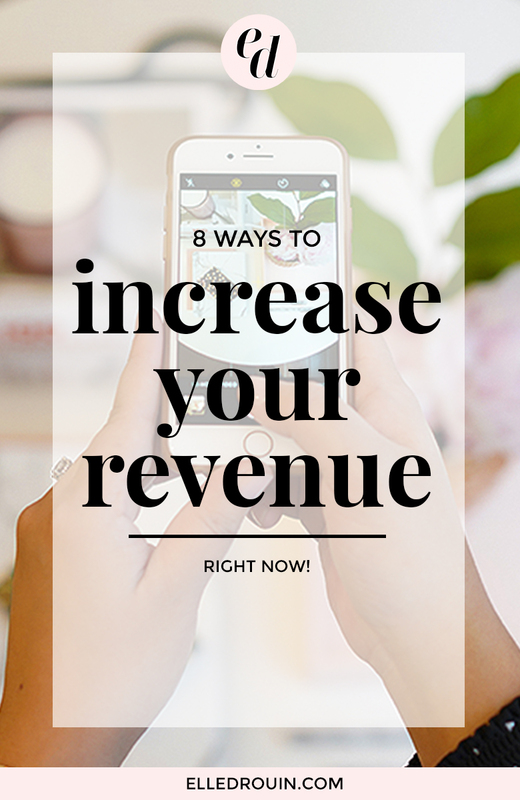 So those are 8 easy ways to increase your revenue and avoid the summer slump! What other strategies are you using to make more money right now?